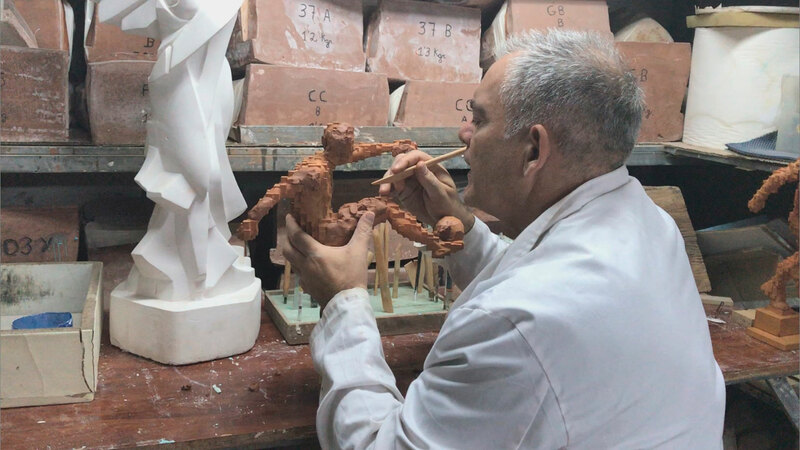 Process of creation of the Zidane’s Winning Goal inspired by Antony Gormley by the sculptor Miguel Guía. This sculpture represents a European football player, reflecting his coordination and dynamism. This artwork is inspired by the famous Zidane’s goal that gave the Champions to Real Madrid. Is it also strongly influenced by my admired Antony Gormley. Within it, I develop my own style whereby I try to unite the strength of the movement with a development of geometric volumes, achieving something totally innovative and impressive.